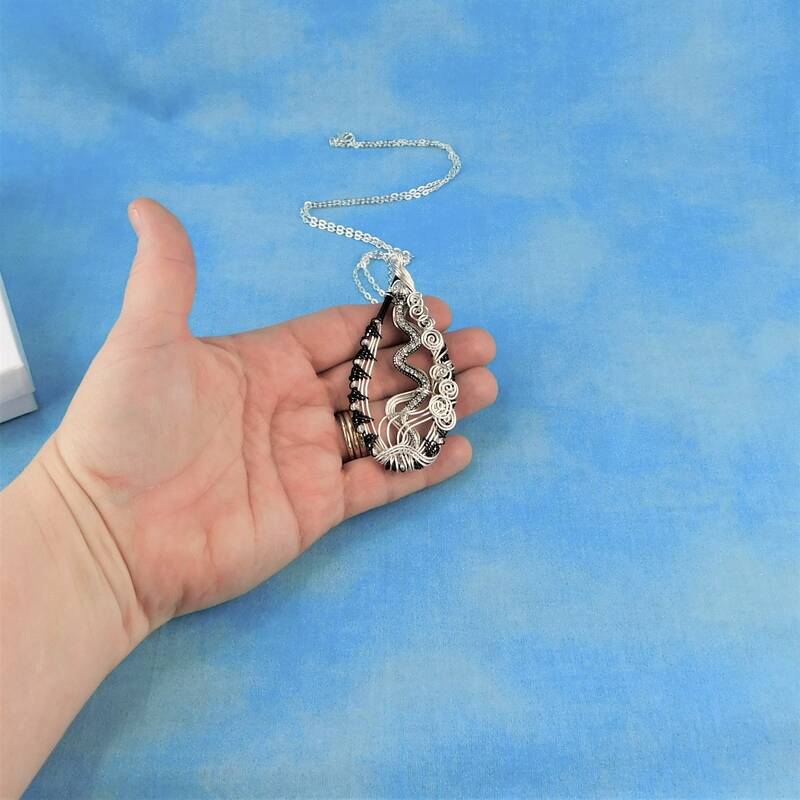 Non tarnish fine silver over copper wire is hand woven with black copper wire, to create a 3 inch by 1 1/2 inch frame for a beautiful rhinestone studded snake with matching rhinestone eyes. 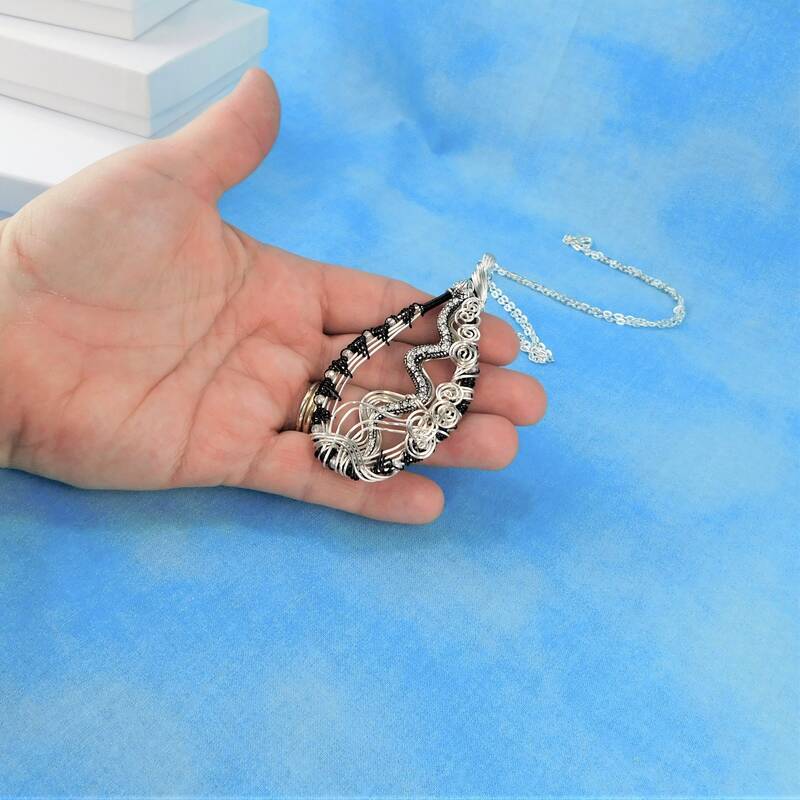 The frame is intricately interwoven with clear crystals, accenting the rhinestone scales running along the back of the snake. 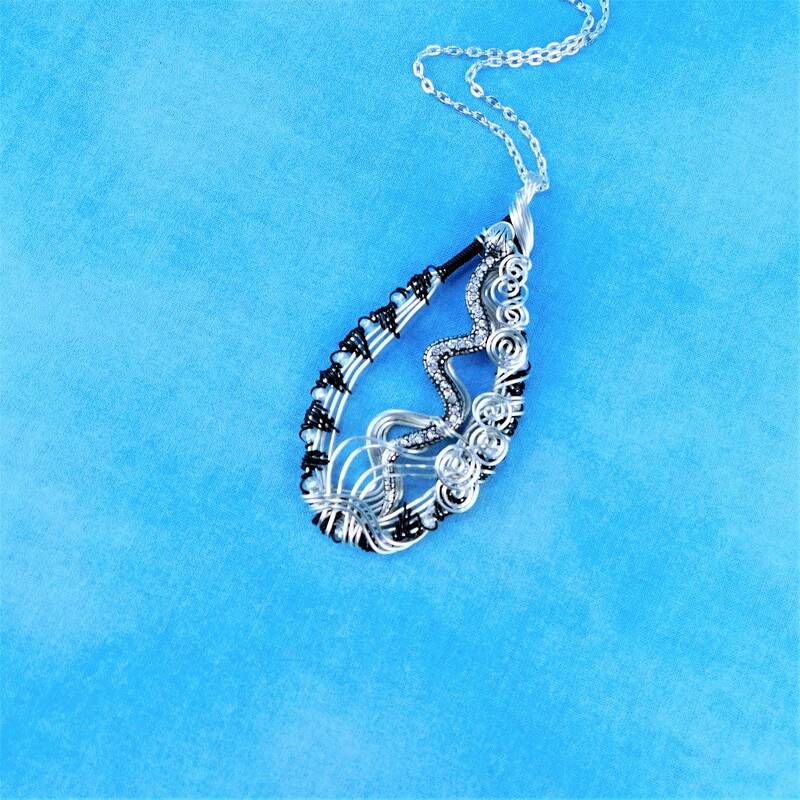 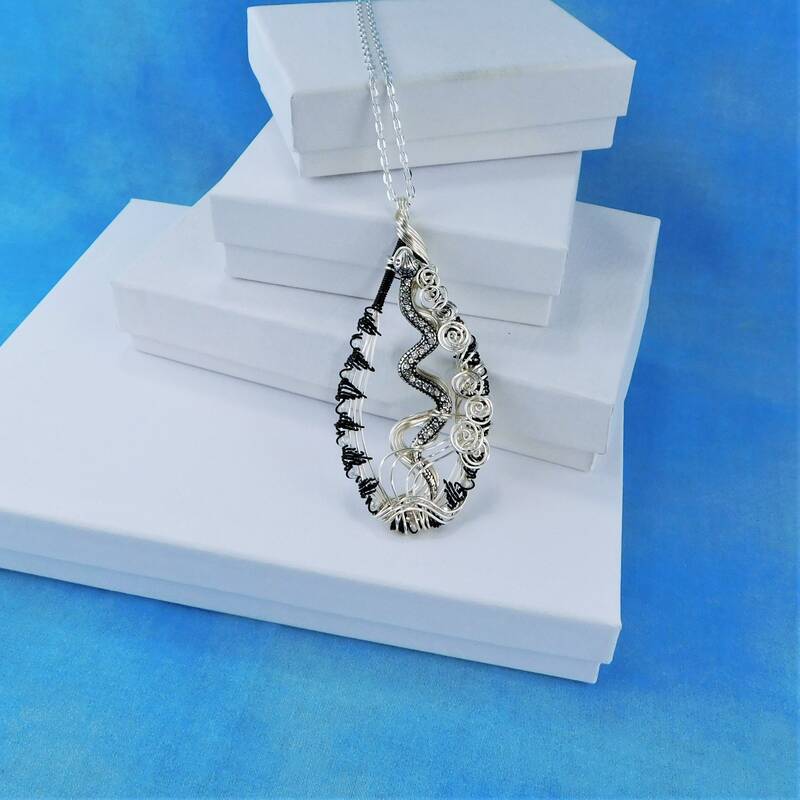 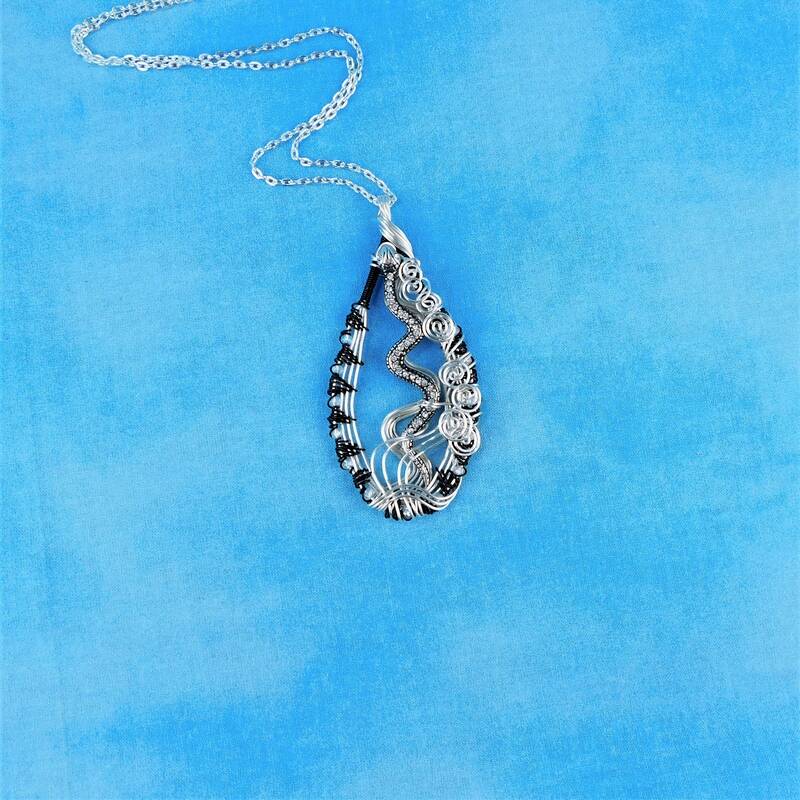 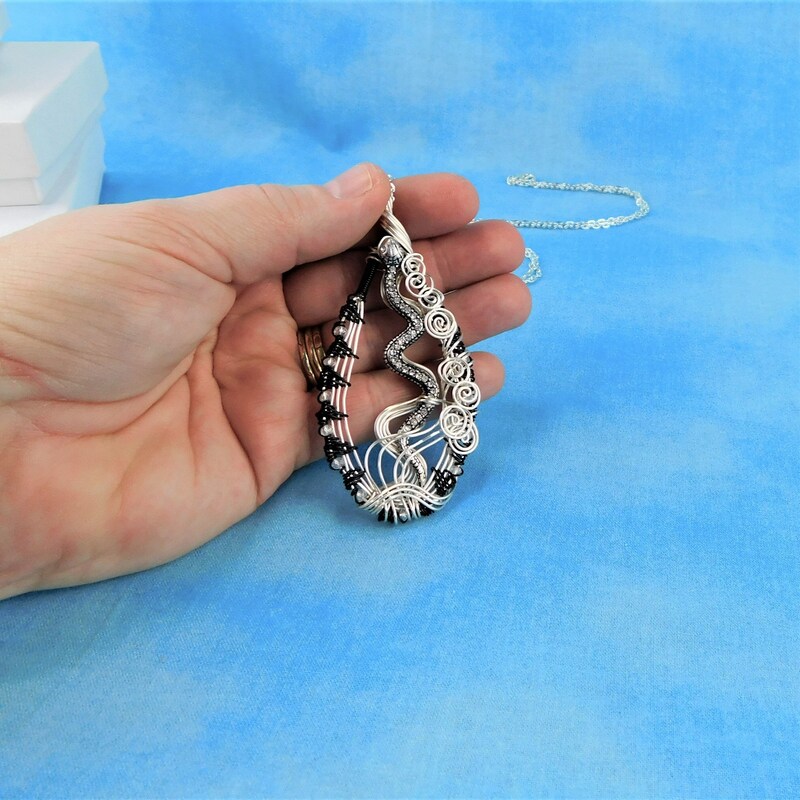 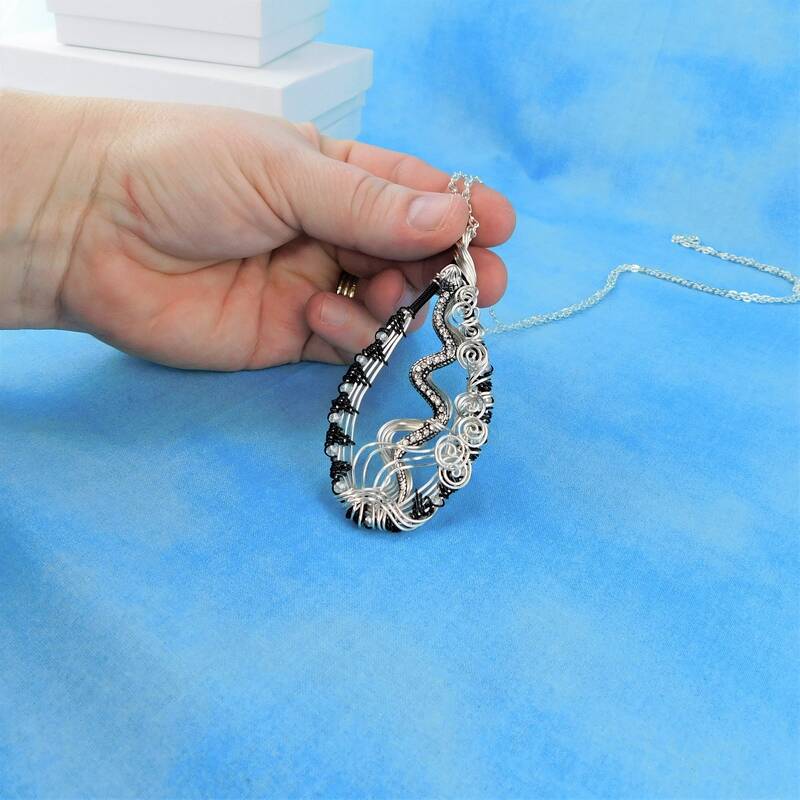 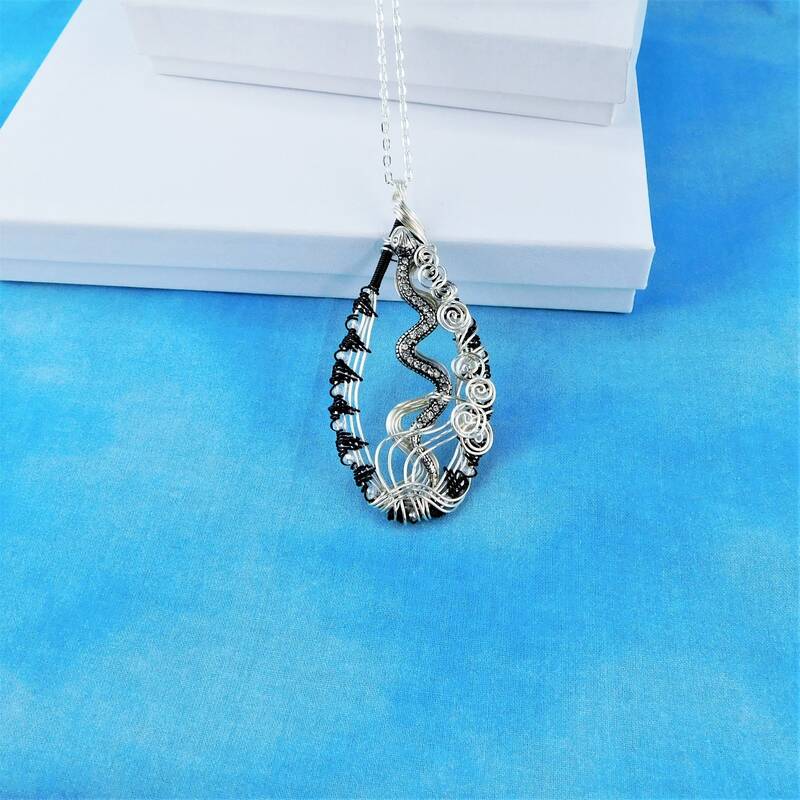 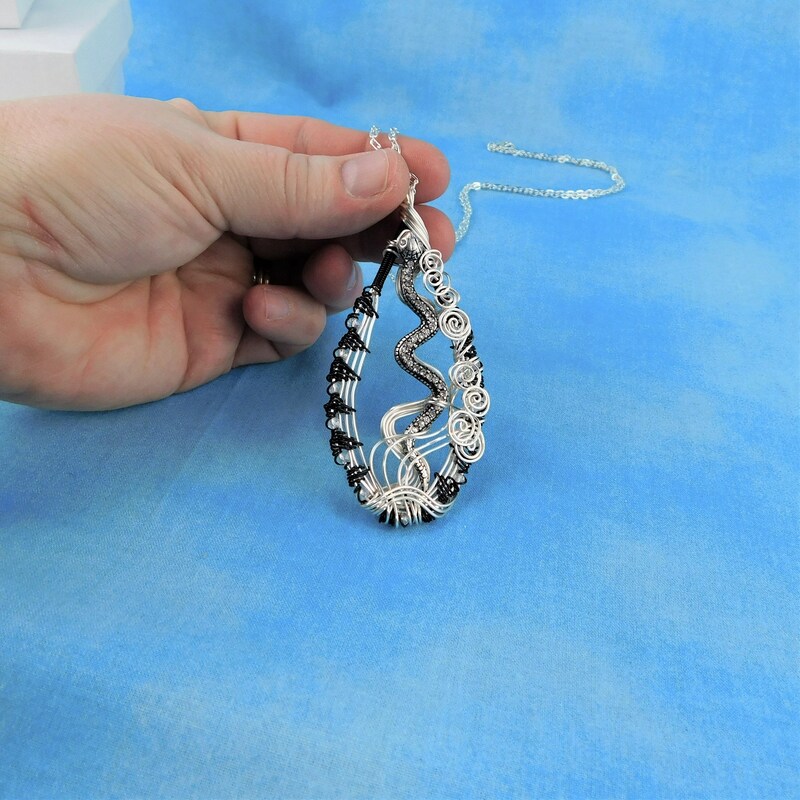 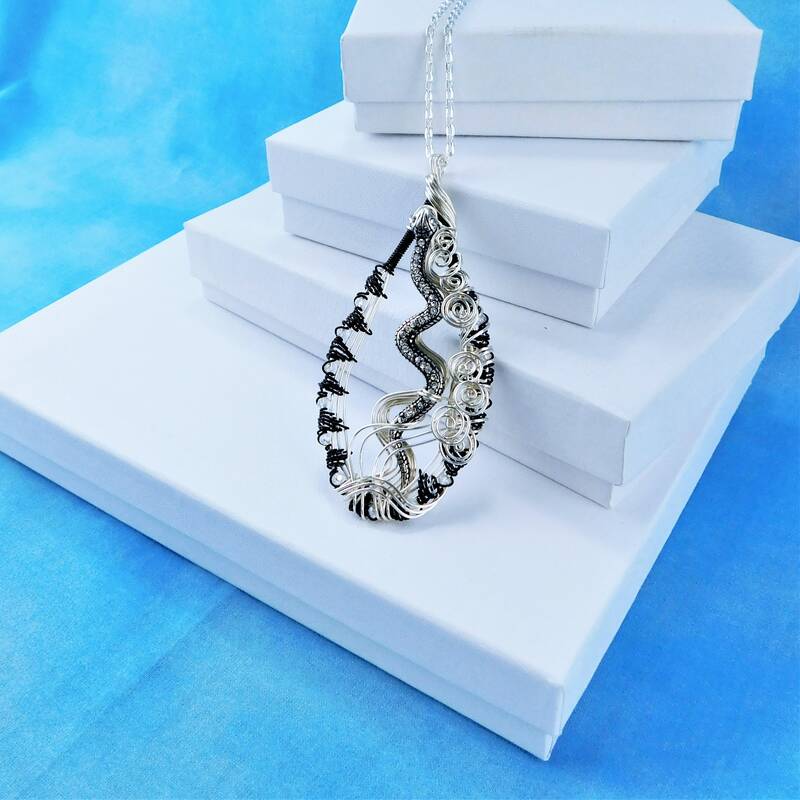 This pendant is an unusual, one of a kind necklace for an unusual, one of a kind woman.